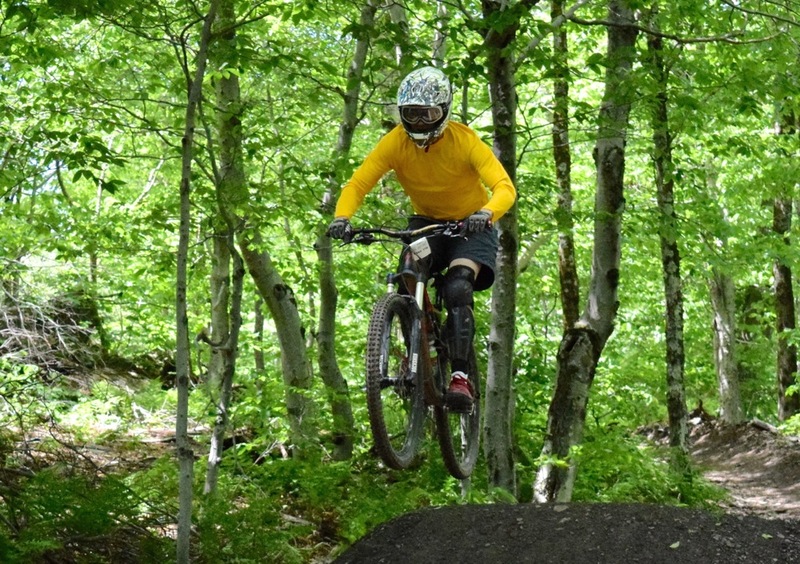 Plattekill Mountain is best known as a ski center, however the hill’s best kept secret is their mountain biking. If you are like me, and love the freedom of taking a lift up the side of a mountain, and throwing yourself back down at high speeds, then downhill mountain biking may be for you. 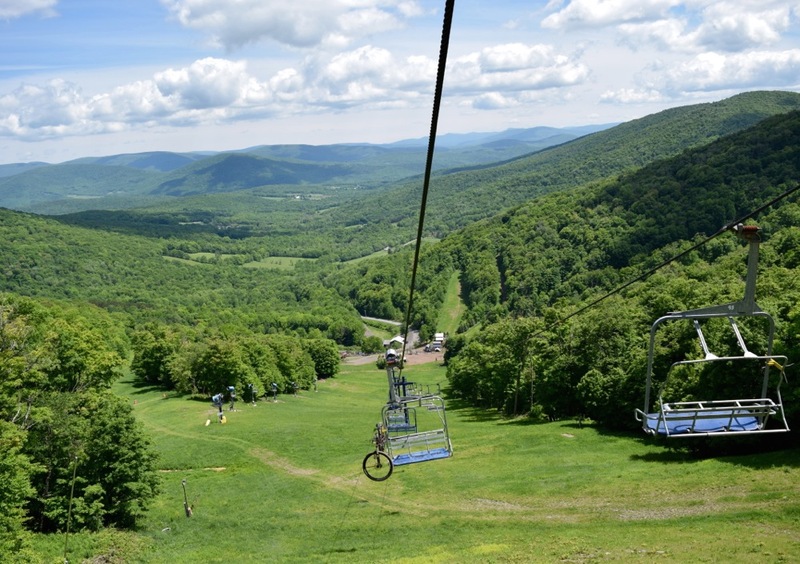 Throughout my years skiing at Plattekill, I always knew they offered lift-served mountain biking, but never considered trying it. I was honestly scared of the thought at first, but once I finally gave it a shot two years ago, I became addicted. Most of the riding I do is more XC oriented. I live in a hilly town where mountain biking is popular, but there are no lift-accessed areas. I do ride for the descent; earning it on the pedal up, then riding down as aggressively as possible. I love the sport. But just like skiing, there comes a time when you want to rack up the vert. This is when I take a day trip to Plattekill. Because of my XC background, I ride a shorter-travel (130mm) bike for just about everything. In a way, I’m like the guy on freeheel skis. While everyone else is wondering how I can possibly be having fun, I enjoy the advantages of more flexible gear. I can still ride just about everything on my trail bike. One of the things I love most about Plattekill is the people. Almost every time I ride at Plattekill, I hit it off with someone in the parking lot, and end up riding with them later that day. My brother Joe always rides with me as well. It is mutually beneficial to ride with other people. Somebody will know the mountain really well, and can show off new features, and hidden trails, and somebody else provides the wided-eye wonder. Riding with other people makes the day more memorable. 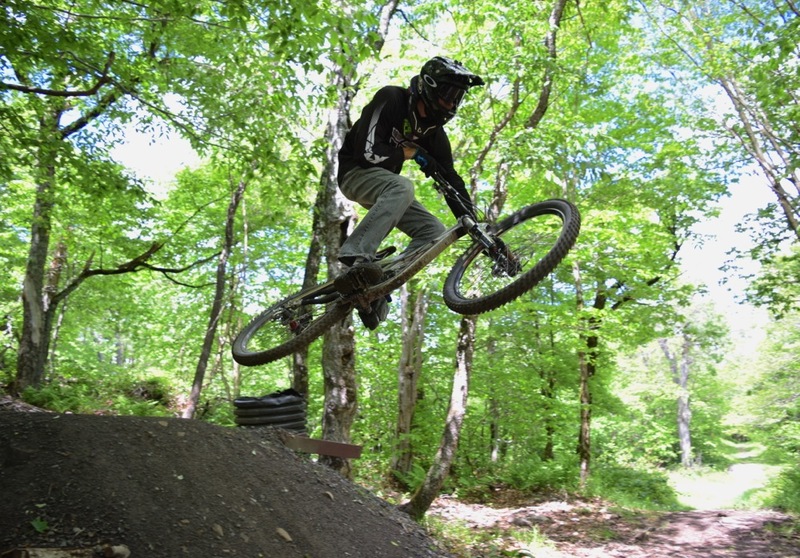 Plattekill has a reputation for being steep, rocky and “gnarly,” which scares some people off, but they’re working to appeal to a larger audience. This past weekend, Alan K, the master trail groomer, was working on Plattekill’s new “Greenhorn Beginner Trail.” The trail is already in place, but they are working to make it as smooth as possible. 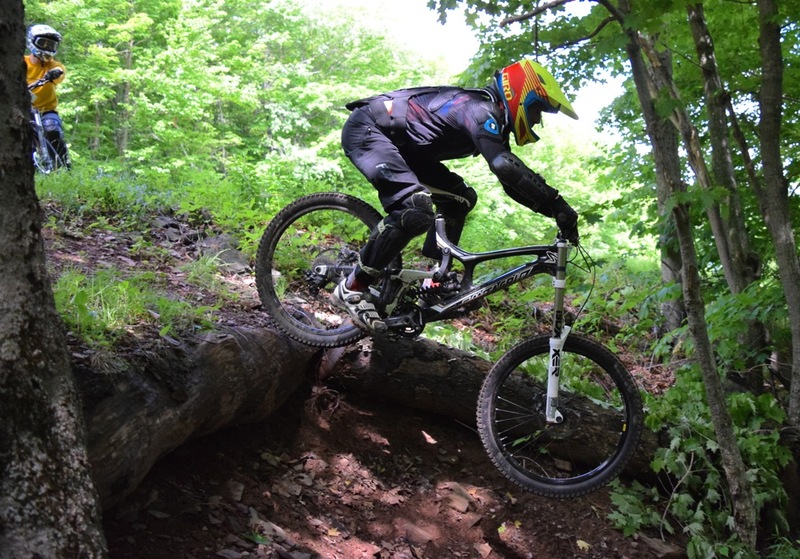 The recent purchase of a mini-excavator will allow Plattekill to make mellow trails for beginners and to building even bigger berms and jumps for experts. I love riding my bike downhill all day long, and I enjoy getting back to the mountain where I spend 30+ days of my winter. I think the mountains are almost as beautiful in green as they are in white. Your pictures are great, they really do the mountain justice. 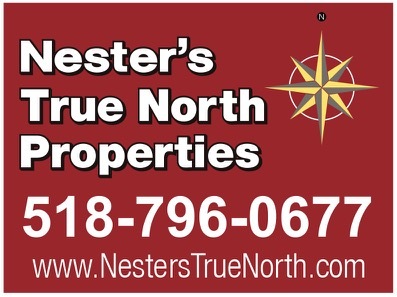 It’s such a great place in any season!